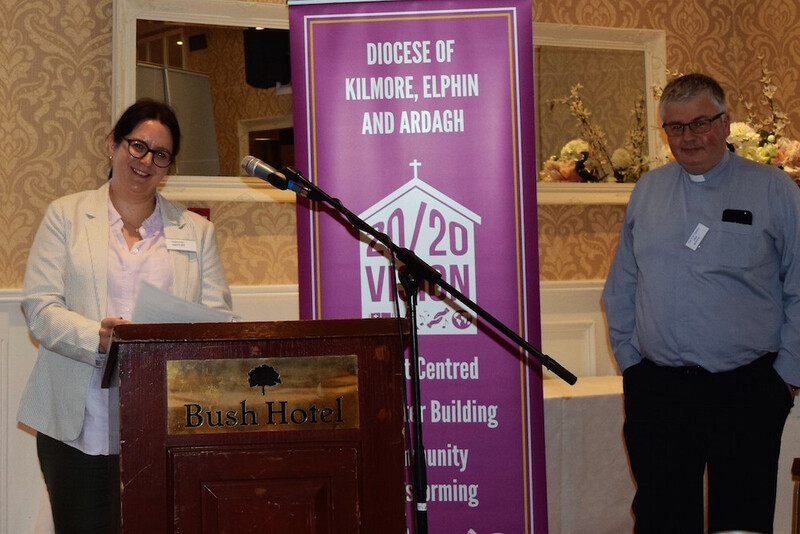 The Annual Meeting of the Diocesan Synod of Kilmore, Elphin and Ardagh took place this Saturday 3rd October in Carrick-on-Shannon, Co. Leitrim. The day’s proceedings began with a celebration of Holy Communion in St George’s Church. Preaching from John chapter 17, Archdeacon Isaac Hanna reminded us of Christ’s prayer for unity among believers. He challenged as to pull together as a team with the common purpose of the gospel. The business of the Synod followed shortly after the Service in the nearby Bush hotel. Bishop Ferran Glenfield was unable to attend this year’s Diocesan Synod as he is recovering from hip surgery. Archdeacon Craig McCauley stood in as Bishop’s Commissary for the day. 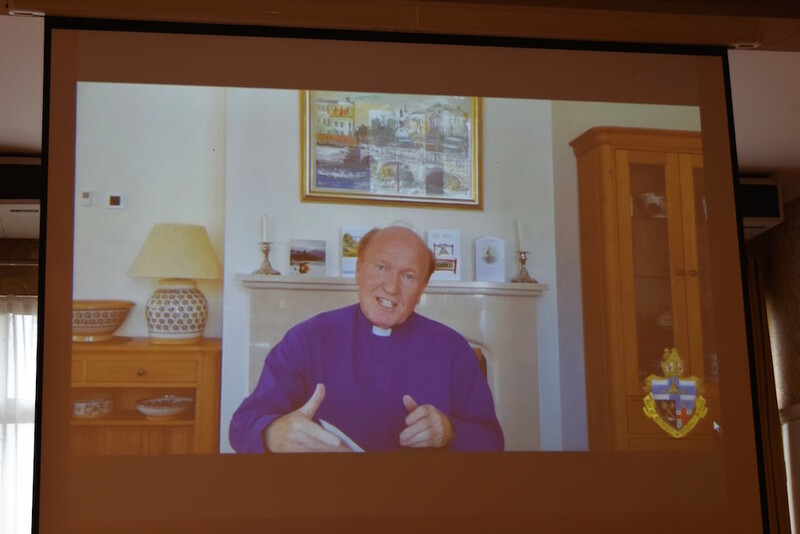 Nevertheless, Bishop Glenfield gave his address by way of video link. 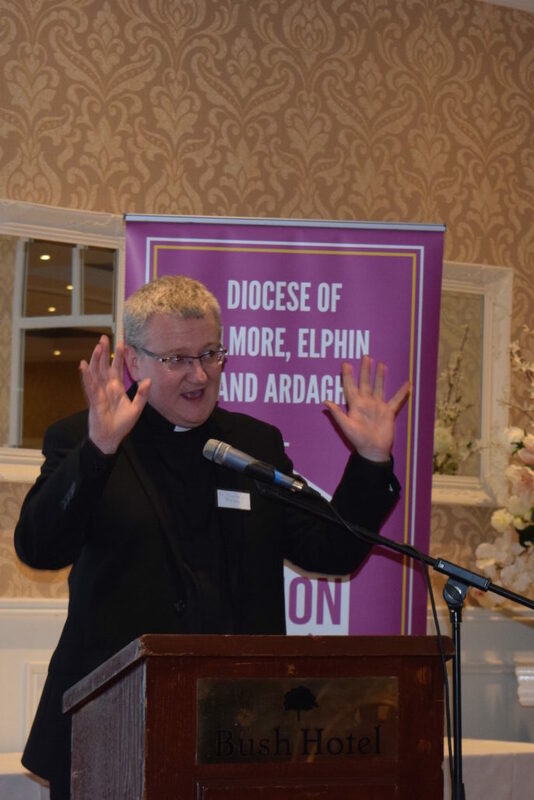 In his address, Bishop Ferran drew attention to a Motion to allow the Ballisodare Group of Parishes in Co. Sligo to transfer from the Tuam, Kilalla and Achonry Diocese to Kilmore, Elphin and Ardagh. 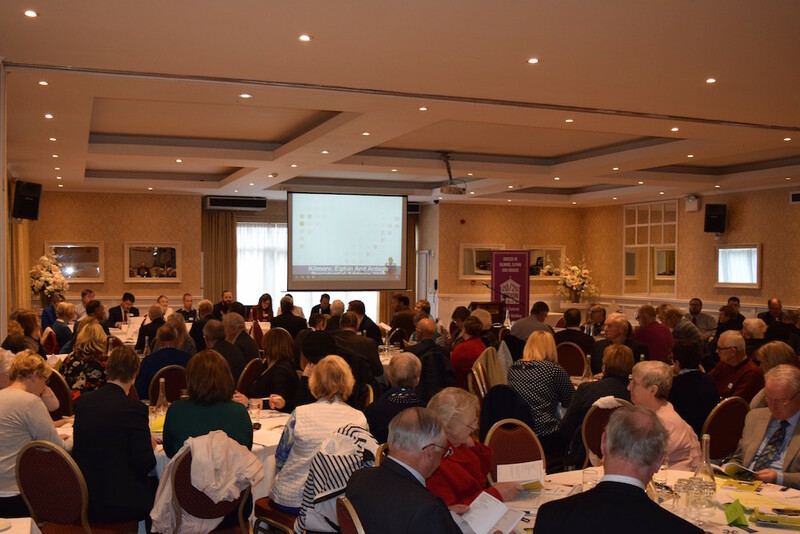 The Motion had been passed at the recent TKA Diocesan Synod and Bishop Glenfield appealed for members of our own Synod to back the proposed change. At the 2017 Diocesan Synod, Bishop Glenfield had informed the members of his intention to conduct a parish visitation in the following year. During his address he gave a progress report on these visits. Some 80% of parishes have been visited so far. During these visits the Bishop had visited National schools, Secondary and Third level institutes, hospitals and nursing homes, businesses and commercial premises and those who were house bound. He attended worship services in each group and chaired a joint Vestry meeting undertaking a SWOT analysis as people discussed the Strengths, Weaknesses, Opportunities and Threats their parishes faced. After a short while Bishop Ferran shared his findings with the Rector, who in turn used it as a springboard for discussion in the parish group. What did the Bishop discover in the visitation exercise? Strengths : words such as small, resilient, committed, alive and energized and phrases such as we work well together, capable people, well maintained buildings and inspirational leaders were repeated across the Diocese. 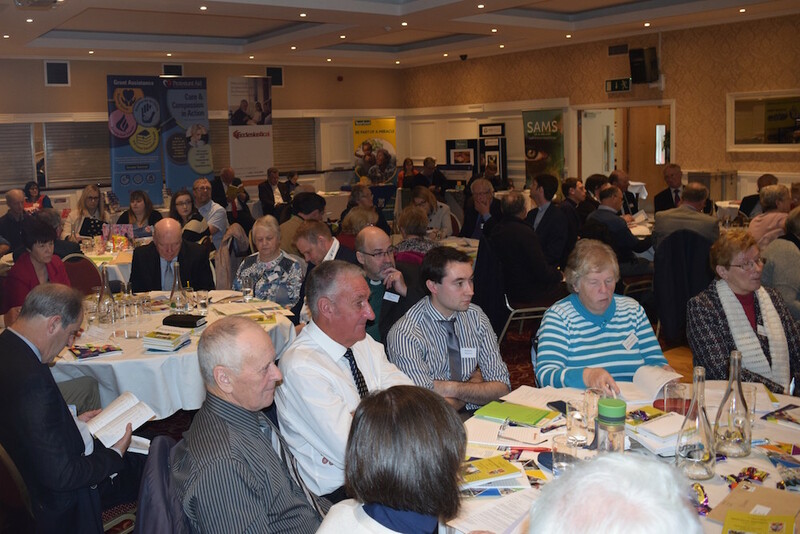 It is clear that the 20/20 Vision focused on the local church being resourced for ministry and mission and local people being empowered is taking shape on the ground. Perhaps one indicator of this strength is that the Diocese has a full compliment of clergy, which is a remarkable achievement and reflects the hard and unseen work going on to commend rural ministry in a Border, Midland West context. Moreover, the Diocese continues to encourage people to go forward to ordained ministry, five this year; alongside preparing and training people for lay ministry, youth ministry and evangelism. Weaknesses: people were candid in identifying perceived weaknesses – small numbers, ageing congregations, lost generation groups, competition on Sundays, rural depopulation and fatigue. In particular there was a deep sense of unease that small parishes were being squeezed by government agencies with regard to Charity Regulation, Data Protection and Adult Safeguarding. People thought it unreasonable to expect small volunteer trustee bodies like Select Vestries to comply in the same way as large companies and charities who have the resources to process compliance. 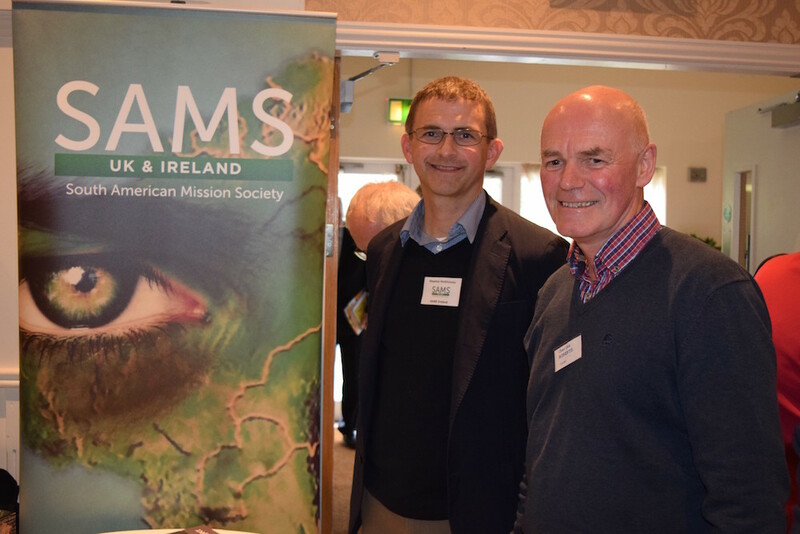 Connecting with the wider community: Great strides have been made by our parishes to be visible and active in their local communities through a variety of ways. In using the Harvest and Christmas Seasons to invite people to worship. In promoting community events, in engaging in local heritage and environmental projects. In being active in farming circles, in working with men, children and adults with Special Needs and being creative in outreach to tourists. 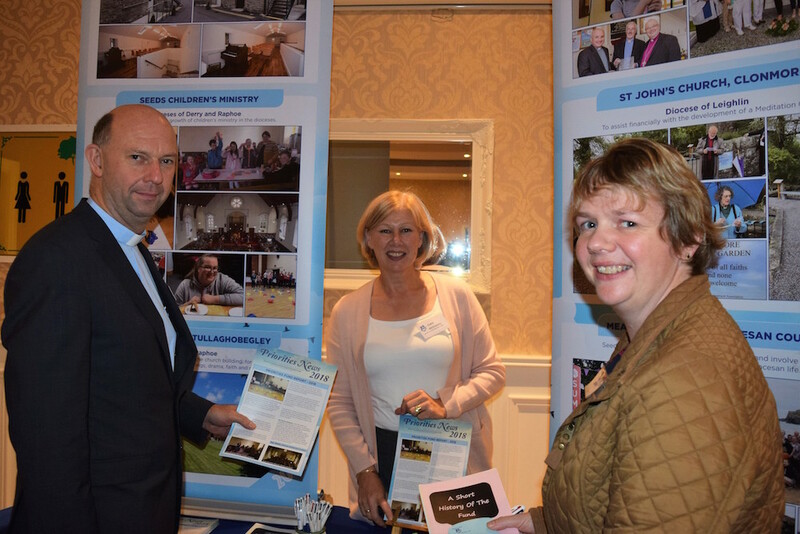 One has only to browse through The Scribe, the monthly Diocesan Magazine to see the spectrum of connections parishes are making in the community. Prioritizing children and young people: Another opportunity recognized by people was the growing work among children and young people. Local churches were serious about passing on the faith to successive generations. Across the Diocese Sunday Schools were active in most groups. Messy Church experiments were proliferating and seasonal Bible clubs were a feature in a lot of places. Uniformed organizations GFS, GB, BB and Guides were well represented. In addition, up to 16 regular youth groups were up and running. 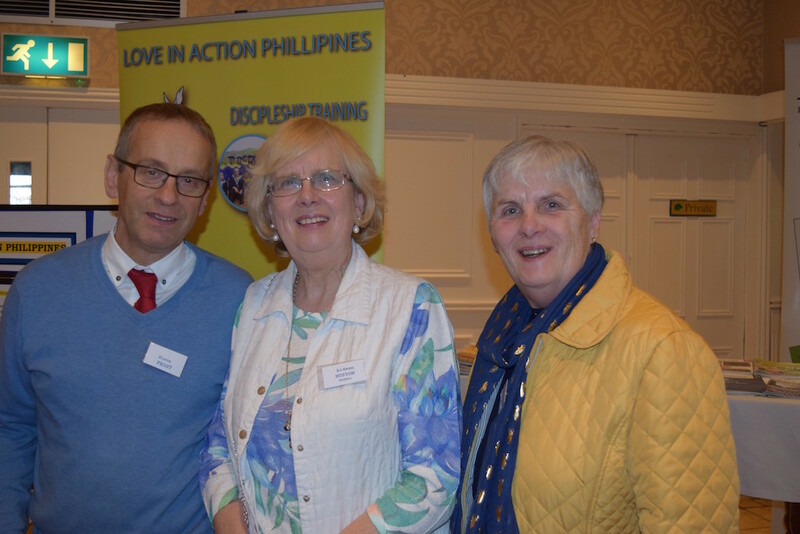 The Diocese had a full compliment of gifted and dedicated children’s and youth coordinators based in Cavan, Longford and Sligo. Threats: Concerns about the future fell into two categories: External and Internal threats. External treats revolved around Brexit and the uncertainty it was bringing to Border areas. Also there was a sense of threat arising from a changing Ireland in which the church is unfairly seen not as a force for good, but a source of harm. Internal threats were identified as indifference and unfaithfulness to the Gospel of Jesus Christ. Both external and internal threats were seen as real and potentially damaging to the future of our churches and to the Church of Ireland as a whole. Nonetheless, Bishop Ferran detected a quiet confidence and resilience across the Diocese not simply to survive but to thrive. GK Chesterton once commented “ At least five times in history the faith has to all appearances gone to the dogs. In each case it was the dog that died”! Bishop Ferran concluded that KEA is a small diocese in a hidden and often neglected part of Ireland. It is often the way of God to begin his work in obscure places among small people. The Bishop asked people to see things for what they are.Itis a time of declension for Christianity in Ireland an at such a time we need to hold our nerve. That requires conviction, courage and commitment. God is at work despite general appearances. His work is there for all who see with the eye of faith. And if God is with us, who can stand against us? Following the Presidential address, the Synod heard greetings from Fr. Turlough Baxter on behalf of the Roman Catholic Church. The Motion to allow the transfer of the Ballisodare Group of Parishes was then proposed by Deborah Davitt who extended a warm welcome to the Ballisodare group. It was seconded by the Ven. Isaac Hanna and passed by the KEA Synod. The Motion will now go before General Synod in 2019 before returning to both Synods next year. 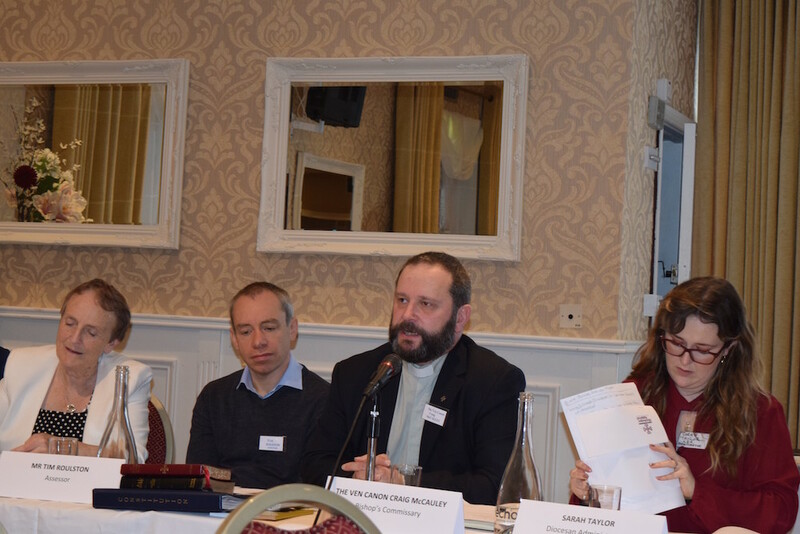 The Synod also had the opportunity to hear presentations from Bishop’s Appeal, The Scribe and the Mother’s Union. 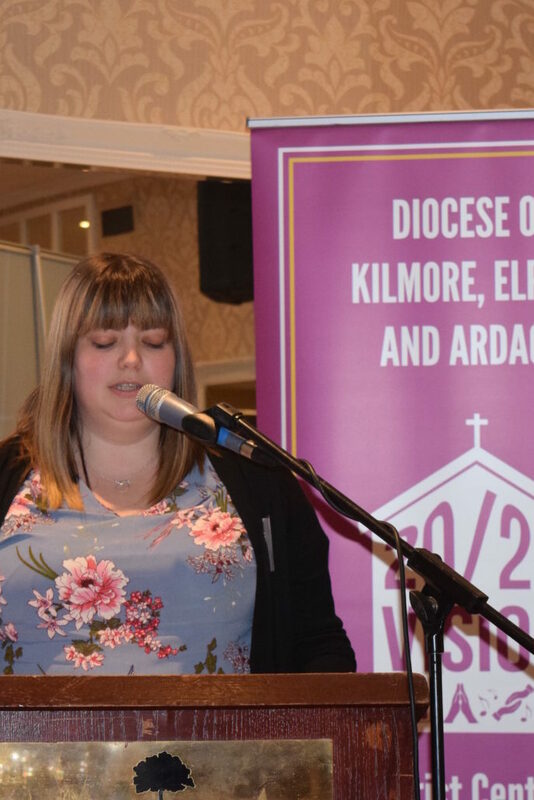 Damian Shorten and Hannah O’Neill, our Diocesan Youth and Children’s Co-ordinators have an inspiring and challenging report on the work of YKEA (our Diocesan Youth Council) over the past year. The 2018 Diocesan Reports presented to synod can be found here.